This study aims to clarify the nature and selectiveness of residential moves and their impacts on the urban space, at the level of district in Istanbul within two distinct periods: 1985-1990 and 1995-2000. This study is an attempt to understand residential mobility which is one of the poorly studied dynamics of Turkish urbanization. Data used in this study is drawn from the 1990 and 200 Population Censuses. To analyse residential mobility, the paper revisited B.A. Kipnis’ ‘flow priority graph’ and introduces the ‘Socio-economic Development Index’ which is the original contribution of this study. The major findings are that from 1990 to 2000, high-status groups’ interaction with the urban geography of Istanbul significantly increased, opposite to low-status groups. Aksoy, A., 2011. The Violence of Change. in R. Burdett & . D. Sudjic, ed.Living in the Endless City. London: Phaidon Press, pp. 232-240. Aydemir, D., 1984. Intraurban residential mobility in Turkey (Effects of intraurban relocations on the efficiency of housing stock use).. Ankara: Unpublished Master Thesis, METU. Bailey, N. & Livingston, M., 2007. Population Turnover and Area Deprivation. Bristol: The Policy Press. Bozdoğan, S., 2002. Modernizm ve Ulusun İnşaası. İstanbul: Metis Yayınları. Buğra , A. & Adar, S., 2008. Social Policy Change in Countries Without Mature Welfare States:The Case of Turkey. New Perspectives on Turkey , Cilt 38, pp. 83-107..
Cadwallader, M., 1992. Migration and Residential Mobility: Macro and Micro Approaches. Wisconsin: The University of Wisconsin Press. Cadwalleder, M., 1982. Urban Residential Mobility: A Simultaneous Equations Approach. Transactions of the Institute of British Geographers, New Series, 7(4), pp. 458-473. Clark, W. A. V, Duerloo, M. C. & Dieleman, F. M., 2003. Housing Careers in the United States 1968-93: Modelling the Sequencing of Housing States. Urban Studies, 40(1), pp. 143-160. Clark, W. A. V.& Onaka, J. L., 1983. Life-cycle and Housing Adjustment as Explanations of Residential Mobility. Urban Studies, Volume 20, pp. 47-57. Clark, W. A. V., Duerloo, M. & Dieleman, F., 2006. Residential Mobility and Neighbourhood Outcomes. Housing Studies, 21(3), pp. 323-342. Clark, W. A. V.& Morrison, P. S., 2012.. Socio-spatial Mobility and Residential Sorting: Evidence from a Large-scale Survey. Urban Studies, 49(15), pp. 3253-3270. Dieleman, F. M., 2001. Modelling Residential Mobility: A review of Recent Trends in Research. Journal of Housing and the Built Environment, Volume 16, pp. 249-265. Dieleman, F., Clark, W. & Duerloo, M. C., 2000. The Geography of Residential Turnover in Twenty-seven Large US Metropolitan Housing Markets 1985-95. Urban Studies, 37(2), pp. 223-245. Erginli, B. E. & Baycan, T., 2011. Analysis of Intra-Metropolitan Mobility in Marmara Region. Barcelona, 51st Congress of European Regional Science Association (ERSA). Feijten, P. & van Ham, M., 2009. Neighbourhood Change... Reason to Leave?. Urban Studies, 46(10), p. 2103–2122. Geniş, S., 2007. Producing Elite Localities: The Rise of Gated Communities in Istanbul. Urban Studies, Volume 44, pp. 771-798. Ham, M. V. & Feijen, P., 2008. Who wants to leave the neighbourhood? The effect of being different from the neighbourhood population on wishes to move. Environment and Planning A, Volume 40, p. 1151–1170. Holsman, A. J., 1975. Interstate interaction patterns in Australia. Australian Geographical Studies, Volume 13, pp. 41-61. Işık, O. & Ataç, E., 2011. Yoksulluğa Dair: Bildiklerimiz, Az Bildiklerimiz, Bilmediklerimiz. Birikim, Volume 268-269, pp. 66-85. Işık, O. & Pınarcıoğlu, M. M., 2010. Back To The Year When It all Started Local Determinants of Party Preferences in 2002 Turkish Elections. METU JFA, 27(1), pp. 161-183. Işık , O. & Pınarcıoğlu, M., 2006. Geographies of a silent transition: A geographically weighted regression approach to regional fertility differences in Turkey. European Journal of Population, 22(4), pp. 399-421. Keyder, Ç., 1999b. The Housing Market From Informal to Global. In: Ç. Keyder, ed. Istanbul: Between The Global and The Local. Boston Way, Lanham, Maryland: Rowman and Littlefield Publishers, pp. 143-160. Keyder, Ç., 2005. Globalization and Social Exclusion in Istanbul. International Journal of Urban and Regional Research, 29(1), pp. 124-134. Keyder, Ç., 2009. Türkiye'de Devlet ve Sınıflar. İstanbul: İletişim Yayınları. Keyder, Ç., 2010. Küreselleşen Istanbul'da Ekonomi,. İstanbul: Osmanlı Bankası Yayınları . Kipnis, B., 1985. Graph Analysis of Metropolitan Residential Mobility: Methodology and Theoretical Implications. Urban Studies, Volume 22, pp. 179-185. Kipnis, B. A. & Schnell, J., 1978. Changes in the distribution of Arabs in mixed Jewish-Arab cities in Israel. Economic Geography,2(54), pp. 168-180. Knox, P. L. & McCarthy, L. M., 2005. Urbanization: An Introduction to Urban Geography. 2 ed. Upper Saddle River, NJ: Prentice Hall. Knox, P. &Pinch, S., 2000. Urban Social Geography: An Introduction. 4 ed. Toronto: Prentice Hall. Kocatürk, F. & Bölen, F., 2005. Kayseri’de konut alanı yer seçimi ve hanehalkı hareketliliği. itüdergisi/a mimarlık, planlama, tasarım, 2(4), pp. 17-24. Kronenberg, K. & Carree, M., 2012. On the Move: Determinants of Job and Residential Mobility in Different Sectors. Urban Studies, 49(16), pp. 3679-3698. Kuyucu, T. & Ünsal, Ö., 2010. Urban Transformation' as State-led Property Transfer: An Analysis of Two Cases of Urban Renewal in Istanbul. Urban Studies, Volume 47, pp. 1479-1499. Ley, D., 1983. A Social Geography of the City. New York: Harper and Row. Nord, M., 1998. Poor people on the move: country-to-country migration and the spatial concentration of poverty. Journal of Regional and Science, 38(2), pp. 329-351. Nystuen, J. D. & Dacey, M. F., 1961. A Graph Theory Interpretation of Nodal Regions. Papers, Regional Sciences Associations, Volume 7, pp. 29-42. Öncü, A., 1988. The politics of the urban land market in Turkey: 1950–1980. International Journal of Urban and Regional Research,, 12(1), p. 38–63..
Özdemir, D., 2002. The Developments in the Central Business District of Istanbul in the 1990s. 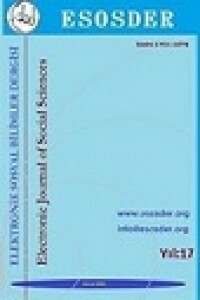 [Online] Available at: http://www-sre.wu-wien.ac.at/ersa/ersaconfs/ersa02/cd-rom/papers/439.pdf[Accessed 13 October 2009]. Özdemir, D., 2010. The Role of the Public Sector in the Provision of Housing Supply in Turkey, 1950-2009. International Journal of Urban and Regional Research, Volume 25, pp. 120-136. Quigley, J. M. & Wienberg, D. H., 1977. Intra-urban Residential Mobility: A Review and Synthesis. International Regional Science Review, Volume 2, pp. 41-66. Schaake, K., Burgers, J. & Mulder, C., 2009. Ethnicity at the individual and neighbourhood level as an explanation for moving out of the neighbourhood. Population Research and Policy Review, Volume 29, pp. 593-608. Tekeli, İ., 1994. The Development of the Istanbul Metropolitan Area: Urban Administration and Planning. İstanbul: IULA-EMME. Türel, A., 2002. Housing Provision in Istanbul: Dominance of Unauthorised House building. Vienna, ENHR International Housing Research Conference "Housing Cultures-Convergence and Diversity". Türel, A. & Koç, H., 2007. Variation of Housing Production among Provinces in Turkey. Rotterdam, ENHR International Housing Conference "Sustainable Urban Areas". Türkün, A. & Kurtuluş, H., 2005. Giriş. In: H. Kurtuluş, ed. İstanbul'da Kentsel Ayrışma: Mekansal Dönüşümde Farklı Boyutlar. İstanbul: Bağlam Yayınları, pp. 9-24. Türkmen, H., 2011. Debates On Right To The City In Istanbul. Amsterdam, Paper presented at the International RC21 conference 2011.